Going to the market is one of my favorite things. But so is not going to the market. I love looking in the fridge and pantry at dinner time and realizing that I have everything I need to make a dish. Especially after the day I had yesterday. 6:45 a.m. came way too early yesterday and almost everything that happened after the alarm went off wasn’t ideal. Do you ever have those days when you feel like you’re just one step behind? Or those days that you should just spend in bed with a good book and a cuddly pet? Well, that was yesterday. All. Day. The Halloween costumes we ordered were too small. Like, waaay too small. I opened our front door on my forehead so hard I saw stars. Now it’s swollen and starting to bruise. The cake I baked fell in the middle. It went in the trash. Ugh. Fraudulent charges were made on my credit card. That was my day. Luckily, dinner was the easy part. As you all know, over the summer I bought a quarter of a hog (#50) with my friend Sarah. Slowly but surely, we’re eating our way through all the porky goodness. We had one package of ground pork left, and chili was just what the doctor ordered after the day I had. 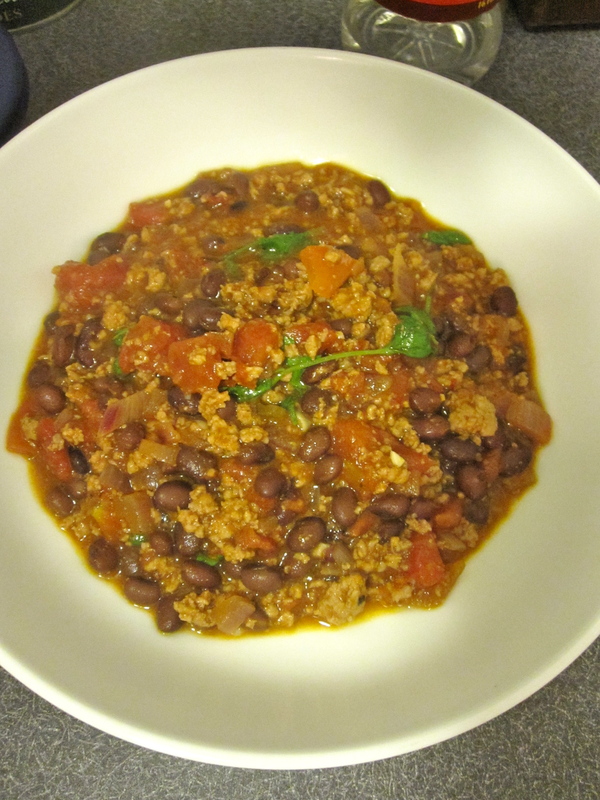 Chili is one of those dishes when a recipe isn’t really necessary. You just add what you like or what you have on hand and voila! Chili! I went for ground pork, red onions, garlic, vinegar, tomato paste, diced tomatoes, black beans, cilantro, and my favorite spices. But really, the beauty of chili is that it’s flexible. So, take a peek in your fridge, freezer, and pantry. Here in Nebraska it’s cold and wet outside. Weather like this demands chili. 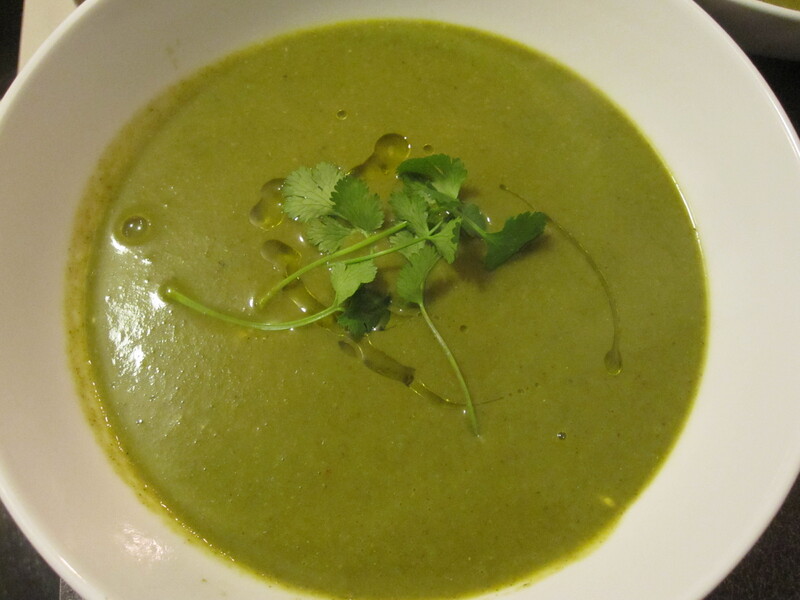 Throw it all in a pot, let it simmer away, eat it and forget about your bad day. Whew! I apologize, folks, for the delay in posting. As it happens, life gets in the way. Life, in this sense, was the ever-ambiguous, always opaque, Heart of Darkness, by Joseph Conrad. Well, it wasn’t so much the novella, but the writing assignment attached to the novella, which threw a wrench in my daily life. For whatever reason, my heart/mind just wasn’t into the assignment, so, it got its revenge by putting me through total agony over the weekend. All I wanted to do was finish the paper so I could have a weekend filled with deck drinks, yard work, and power-cuddling with the dogs. But no, not this weekend. Not at all. Instead, I sat staring a blinking cursor on a blank Word document; judging me, mocking me, if you will. Needless to say, cooking and blogging were nowhere to be found. Luckily, I took a couple of days at the end of last week to do some cooking, so I will happily share with you what went down: Carolina-style pulled pork. Yes. And it was delicious. I knew I wanted to slow-roast a pork shoulder, but I also knew that I wanted to share my creation with some friends of ours. What’s the use in cooking a 4-pound piece of delicious pork if we can’t share it? Our lovely friends were able to join us on the deck for dinner last Thursday night. I love vinegar. Love it. All kinds, all the time. I could eat a bag of salt and vinegar chips in one sitting if nobody were looking. I could polish off a jar of Kosher dill pickles and drink the juice with abandon. So, naturally, I would gravitate to Carolina-style barbecue sauce. If you’re a vinegar addict such as myself, you will absolutely love this recipe. If I could give any tips, start this process early. All of the flavors benefit from an overnight stay in the refrigerator, so plan ahead. Trust in me. It’s so worth it. Channel your inner Southerner and enjoy the product of your patience. 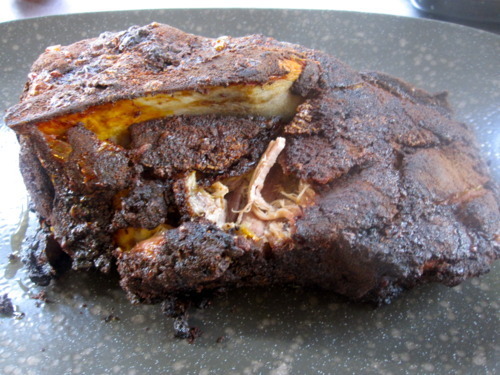 ***I used a 4 pound roast, but still made the entire rub, it’s up to you. ***I followed this exactly, why mess with perfection? And again, I made the full amount and put the rest in the fridge for later. Mix the dry rub ingredients together in a bowl. 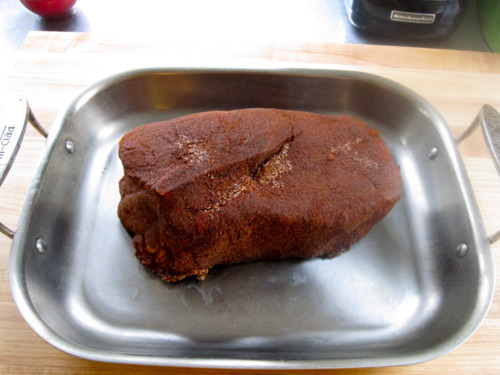 Rub the mixture all over the pork shoulder, making sure to get in all the cracks and crevices. Place on platter or in shallow baking dish and cover with cling film. Let it marinate in the fridge overnight. Combine all the ingredients in a medium sauce pan over medium heat. Allow it to simmer and thicken 10-15 minutes, stirring gently until the sugar dissolves. Allow to cool and pour into a glass jar or container, cover and place in fridge overnight. Put the pork in a roasting pan and let it go for 5-6 hours. Roast that baby until the meat starts pulling away from the bone and an instant-read thermometer reads anywhere from 170ºF – 190ºF. Try to not let it get above 190ºF, as you might run the risk of drying the meat out. Let it rest for about 10 minutes. 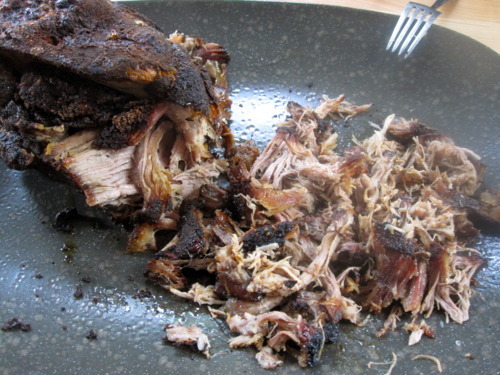 While the pork is resting, warm up your barbeque sauce in a pan on medium-low. While warm, take two forks and begin pulling the meat into shreds. 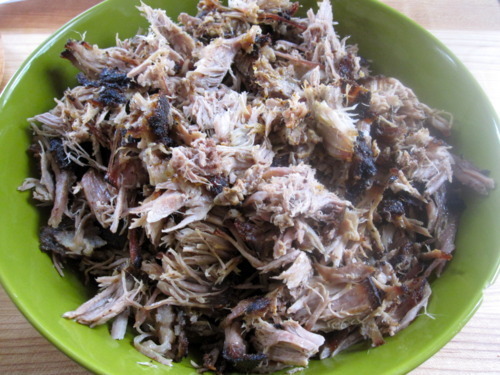 Put the shredded pork into a bowl and pour half of the barbeque sauce over the meat and mix well to coat. Serve this on a hearty bun and top with your favorite vinegar-based spicy slaw. Share and enjoy with friends.